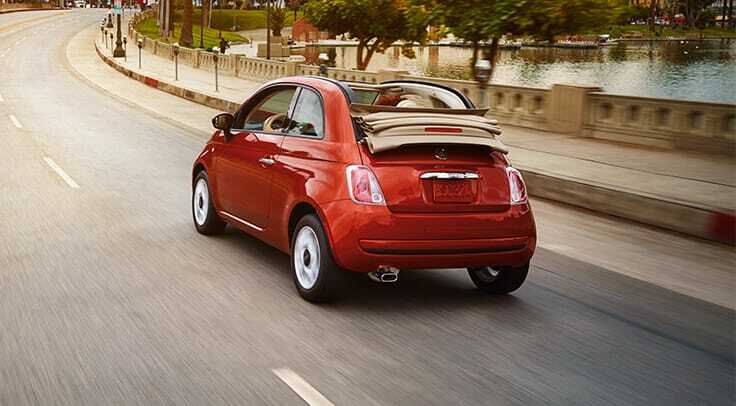 The 2015 FIAT 500c (Cabrio) is the convertible trim to the 2015 FIAT 500 model. The 2015 500c also receives the digital 7-inch Thin-Film Transistor (TFT) display, so drivers can receive real time driving information in a manner that is both intuitive and functional. 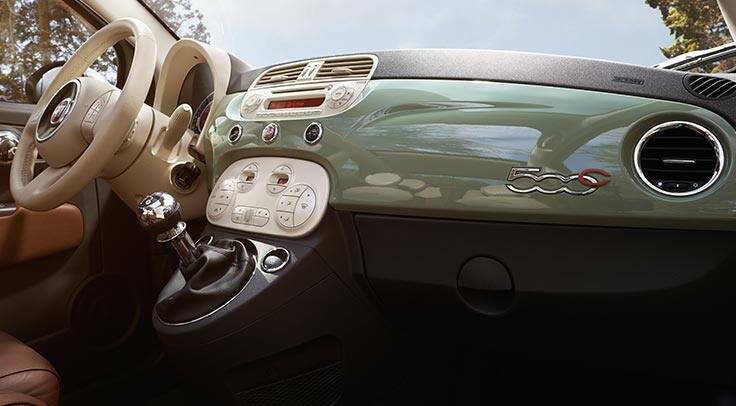 The 2015 FIAT 500 received other interior updates for driver convenience including Bluetooth streaming audio and a revamped center console with an additional USB port for easier charging of smart devices. The 2015 500c receives a soft top, much like the 2014 model that folds up in an accordion style in the rear end of the car. The 2015 FIAT 500c comes with the same, strong, powertrain offerings as the 2014 500 lineup. The base 101-horsepower, 1.4-liter four-cylinder engine offers sufficient power and fuel efficiency for customers in the market for a stylish two door compact car, and an available 135-hp, 1.4-liter four-cylinder Turbo engine provides even more of a pop for drivers who need the extra power, while providing just about the same fuel economy. These engines are paired with either a five-speed manual or six-speed automatic transmission. The sport-tuned suspension in the 500c Sport and 500c Turbo trims really provides a more engaging and fun driving experience. The 2015 500c is powered by a front-wheel drive (FWD) system. The 7-inch TFT cluster, which highlights the interior changes for the 2015 FIAT 500c, allows drivers to easily monitor important driving information like speed, fuel level, Eco index and trip information. While on the main screen, an image of the vehicle is surrounded by information, including distance traveled, gas mileage and range. When Sport mode is activated, the TFT display becomes more aggressive in appearance, complementing the Sport mode's more engaged driving experience. Other interior updates for 2015 center around the middle console, with an additional USB port and storage updates for easier smartphone storage, the middle console adds to driver and front-passenger convenience. Can I get this car with a digital instrument panel? Yes, that's available for this car! Is the 101-horsepower engine an I-4 one? What are some of the best smartphone apps for drivers? Most versions of the 500c get a 7-inch instrument panel screen in place of the traditional gauges. Bluetooth streaming audio is now standard, and the restyled center console gains cupholders and an additional USB port. The 2015 FIAT 500c Abarth and Turbo models now offer an available six-speed automatic transmission. For more information about the FIAT 500c, call us today!